Our doctors and staff aim to provide you and your family with the highest standard of medical care in a friendly and professional environment. We take a comprehensive and evidence-based approach towards the prevention, diagnosis and management of illness, and are committed to the promotion of good health and well-being to all our patients. All of our doctors hold specialist fellowship with the Royal Australian College of General Practitioners and have broad experience in the full range of general medical and family care. Prior to entering medical studies in 2004, Kirsten worked in the Tweed as a secondary Science & Maths teacher for a total of 7 years, including a period of 2 years travelling and teaching in Europe, Asia and Africa. She completed a Bachelor of Medicine and Surgery from the University of Queensland, Brisbane in 2008. Kirsten has worked at both the Logan and Gold Coast Hospitals, and has worked in General Practice since 2010 in Murwillumbah, Ocean Shores and Banora Point. Kirsten has a real devotion to continuing her education and furthering her expertise in General Practice, and is undertaking further studies in her key interest area of women’s health. She is also specifically interested in paediatric and adolescent health, skin cancer medicine and geriatric medicine. Kirsten has a special interest and training in travel medicine. As a former teacher, Kirsten is also committed to the mentorship and education of the next generation of doctors and is heavily involved in supervision and training of medical students and general practice trainees. Kirsten truly thrives on the variety of general practice, and enjoys looking after the health of individuals and families of all ages. He has a particular interest in skin cancer diagnosis and management, and has undertaken additional training in skin cancer surgery through UQ/Healthcert. Adrian utilises dermoscopy for skin checks, and has access to a well equipped treatment room at Casuarina Health and Medical for minor surgery and other procedures. Adrian works at Casuarina Health and Medical on Tuesdays and Thursdays, and Saturday mornings (alternating). Having worked at Kingscliff Beach Medical centre since 2012, he continues to have a strong involvement in that practice and works there on Monday, Wednesdays and Fridays. Zoe has lived and worked on the NSW North Coast from 2016. Despite being new to the area she has quickly formed local connections and has developed a love for the coast and it’s people. She has interests in a broad range of medical areas and feels very privileged to be a general practitioner who can witness the full spectrum of life from infancy to older age. She completed her medical training at the University of Queensland in 1998. She has worked in a number of practices around Australia and has completed her diploma of obstetrics and gynaecology. She has lived and worked in Tasmania, Far North Queensland, Brisbane and Pottsville and has experience with the full range of general practice from remote indigenous health to busy inner city medicine. She has travelled extensively including having a year round Australia in a small caravan with young children in tow. She is passionate about the role of general practice in a community and works hard to have a ‘patient centred’ approach to her medicine. Liz has lived and worked in northern NSW since 2013. She completed her medical degree through Griffith University in 2010 and has subsequently obtained a fellowship with the Royal Australian College of General Practitioners in 2016. Prior to studying medicine, Liz worked as a registered nurse in rural NSW hospitals so has a strong interest in working in collaboration with other health providers to provide patient-centred care. She has undertaken additional training in reproductive medicine and women’s health but enjoys all aspects of general practice. Dr James Bowles became a member of the Casuarina Health and Medical Team in February 2019. He studied a Bachelor of Journalism and Sports Studies at the University of Queensland and subsequently completed his Bachelor of Medicine and Surgery at Deakin University in Victoria. He gained experience working in a variety of specialties – including extended rotations in acute medicine and the adult and paediatric emergency departments – during his residency at the Gold Coast University and Robina Hospitals. He has also undertaken rural rotations in Nanango and Murwillumbah. He aims to provide high quality, empathetic and evidence-based care to his patients. Dr Nelson Herbert became a member of the Casuarina Health and Medical Team in February 2019. Nelson studied a Bachelor of Science (Biomed) at the University of Queensland and subsequently continued on, completing his Bachelor of Medicine/Bachelor of Surgery in 2013. He has always been fond of the coast and from 2014 he worked at Tweed Hospital for two years, completing his internship and residency. During this time Nelson gained a solid grounding in acute and general medicine including Paediatrics, Oncology, General and Urological Surgery, O&G and Emergency Medicine. For the last three years Nelson has completed significant Obstetrics and Gynaecology training as a resident and registrar at Tweed Heads, Gold Coast University and Robina Hospitals. He has an interest in Womens Health, Surgery and Child Health, but loves seeing a variety in General Practice. Narelle graduated from Podiatry at LaTrobe University, Melbourne in 2007. Prior to this she completed a Bachelor of Nursing at Flinders University, Adelaide, followed by a post Graduate Diploma in advanced Clinical Nursing at The University of Melbourne. After a 15-year career in Intensive Care Nursing at Royal Melbourne Hospital, Narelle began to practice as a podiatrist. Prior to settling on the Gold Coast, Narelle practised in public podiatry (Community Health) as well as private practice in both Melbourne and Sydney. Narelle continues to maintain her Nursing membership and practice but predominantly works as a podiatrist in her own private practice. 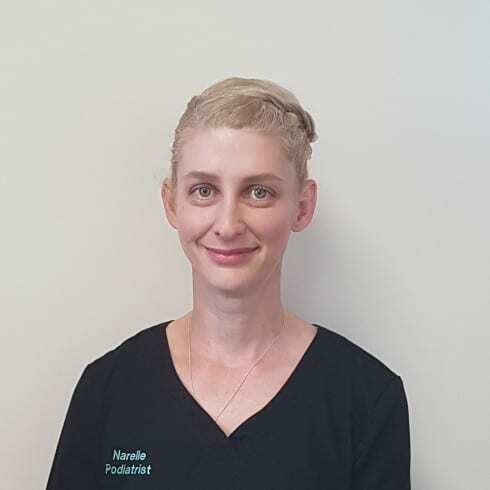 Narelle has a very high standard of podiatric care for all of her patients. She has a special interest in sports podiatry, nail surgery, diabetic foot care and orthotic fitting. Bachelor of Podiatry, La Trobe University 2007. Bachelor of Nursing, Flinders University, Adelaide, 1996. Post Graduate Diploma in Advanced Clinical Nursing, Melbourne University 2000. Liz has been practising for the past 15 years both in Australia and the United Kingdom. She completed a Bachelor of Health Science (Nutrition & Dietetics) in Brisbane, Australia and has since practised in the many fields of Dietetics including hospital based acute care, community based clinics, workplace & corporate health programs and private practice. She has also furthered her studies in Sports Nutrition and anthropometry through Sports Dietitians Australia and the International Society for the Advancement of Kinanthropometry (ISAK). Her experience covers a broad range of medical conditions which benefit from nutritional therapy and dietary modification including diabetes, impaired glucose tolerance and metabolic syndrome, cancer, gastro-intestinal conditions, high cholesterol, triglycerides and blood pressure. She provides practical individualised advice to meet the needs of clients and their families. Liz promotes optimum health and physical performance through her primary interest in cardiovascular and sports nutrition. She advises on optimal intake for weight concern, incorporating both traditional and the Non-Dieting Approach, addressing metabolic dysfunction and other health conditions benefiting from nutrition therapy. Liz can also advise on appropriate training and competition nutrition for individual and team sports including assessment of body composition utilising BIA technology and skinfolds testing. Consultations include a thorough assessment of medical history, physical activity, medications and supplements, body composition assessment and discussing your main concerns. Treatment plans incorporate individualised meal plans, nutrition education and behaviour change advice. 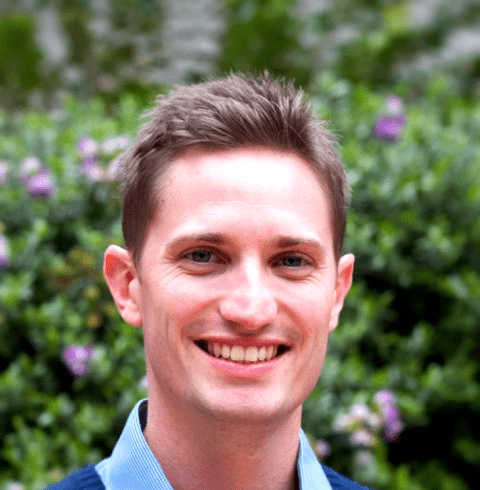 After graduating from Griffith University in 2009, Ryan started his career at a busy private practice on the Gold Coast, where he consolidated his assessment and treatment skills working alongside highly experienced physiotherapists. Here he undertook introductory and advanced dry needling training, along with clinical pilates training. Not only did this allow him to develop into a proficient physiotherapist clinically, it allowed him to develop a holistic approach that is vital in the management of patients, enabling them to reach their goals sooner. He has recently returned from 2 years working in the United Kingdom as a physiotherapist, where he developed new skills, and worked alongside internationally experienced clinicians. 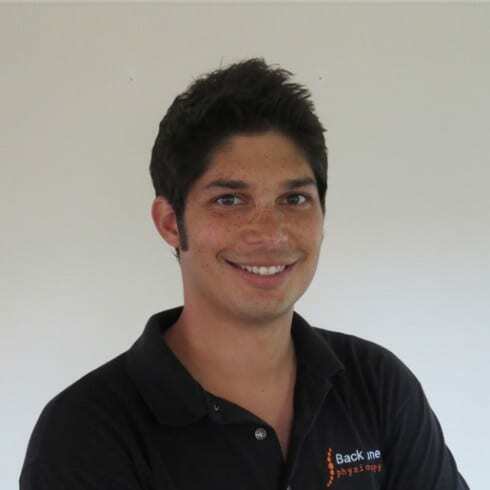 Since returning, he has started his own physiotherapy service “Back In Tune Physiotherapy” covering northern NSW and the Gold Coast. Jane is a Certified Practicing Paediatric Speech Pathologist who graduated from the University of Sydney in 1998 with a Bachelor of Applied Science (Speech Pathology). She has a worked as Paediatric Speech Pathologist for the last 15 years in Australia and overseas. Her extensive experience includes working as a Speech Pathologist/Senior Speech Pathologist for Education Queensland where she worked consultatively and collaboratively with members of the educational team to optimise learning outcomes for students in metropolitan, regional and rural and remote areas of Queensland (in State Schools and Early Special Education Facilities). Returned to her passion of Early Intervention and has worked for the local Health Service since 2014 in Community Health Centres with children aged 0-5 years and their families. Jane will continue in this role. Receptive language (how little kids understand language). Children 15 years and under, Pensioners and DVA patients will be Bulk-Billed. ‘No bulk billing’ * Pensioners and Children 15 years and under will be billed at the concession rate. *DVA patients will be bulk billed. Fees remain at the discretion of each practitioner. For allied health and specialist fees please contact us on 02 6674 0888. SMS text messages are sent for appointment confirmation and clinical reminders to your mobile phone. Please ensure the practice has your correct details. Do I need to see a doctor prior to booking in for a biopsy / procedure? Yes, the doctor needs to see you to diagnose and suggest best treatment. Do I need an appointment to get a prescription? Yes, the doctor needs to see you to determine what medication is best for your problem. Do I need an appointment to get a repeat prescription? Yes, the doctor needs to see you to monitor your progress and make changes if necessary. Can I book with another doctor to have the biopsy / procedure? No, for continuity of care it’s best to see the doctor who diagnosed & suggested the treatment. Please note this email service is checked once daily and is not available for making appointments or accessing medical advice. For all medical advice please make an appointment with one of our Doctors by calling our Reception Staff on 66740888 and they will be happy to help you. © 2019 Casuarina Heath & Medical Centre. All rights reserved. Designed and Developed by TROPiXEL.